Visible on all sides of the box. Available in 3 cap styles. 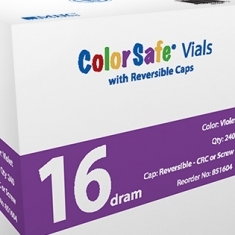 Colorsafe® Vials are available in five distinct colors in CRC, Reversible and Snap Caps. 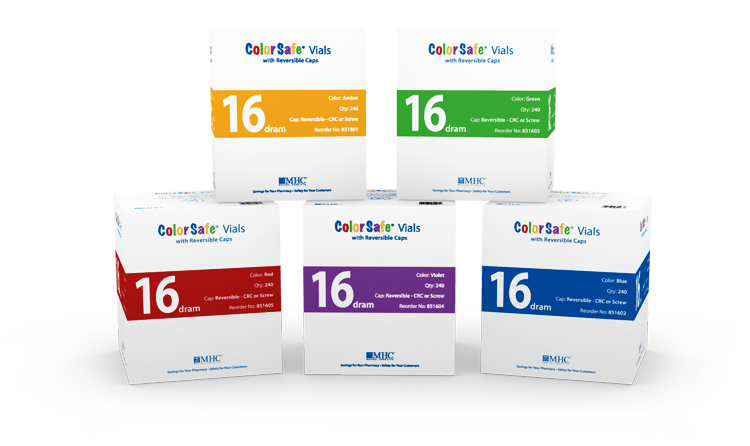 Each Colorsafe® product is color-coded to reduce confusion and allow for an elegant shelf presence.